Microkeeper is a cloud based operating software that allows our people to ‘clock on and off’, manage their personal administration and understand their pay and conditions, all from a smartphone application. Cloverdale introduced the GPS enabled Microkeeper as a way to support our staff through accurate job management across our many sites. 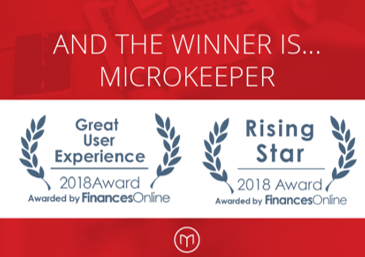 Cloverdale congratulates Microkeeper on their recent FinancesOnline awards for both ‘Great User Experience’ and ‘Rising Star’ – what a fantastic achievement! We are proud to be aligned with such a successful and forward-thinking company!